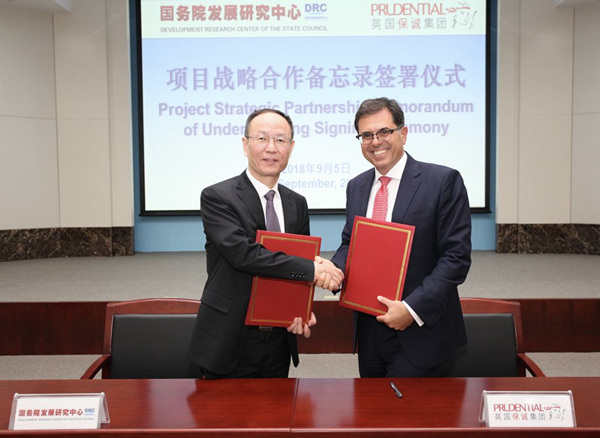 Li Wei, President of the Development Research Center of the State Council (DRC), met with Nic Nicandrou, CEO of Prudential Corporation Asia, on September 5. They exchanged views on China's aging population, pension finance and opening-up of the financial industry. After the meeting, the two sides signed a Memorandum of Understanding of a research project.